The Croatian Society for Analytic Philosophy is inviting you to a talk by Emiliano Loria. The title of the talk is “Teleological reasoning in infancy”. Emiliano Loria is a PhD Student at Consortium FINO, University of Turin and University of Genoa (Italy). The event will take place on 25.4.2017. at the Faculty of Humanities and Social Sciences, room 106, at 14:15. The venue: Faculty of Humanities and Social Sciences in Rijeka. The handout for the talk can be downloaded here. Marco Viola is a PhD student at the Center for Neurocognition and Theoretical Syntax, Istituto Universitario di Studi Superiori di Pavia (Italy). The talk will take place on 12.4.2017. at 14:15, room 450. Venue: Faculty of Humanities and Social Sciences in Rijeka. 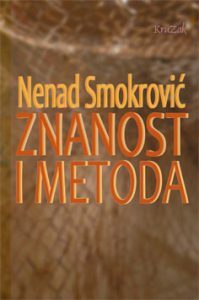 The Croatian Society for the Analytic Philosophy is inviting everyone to attend the promotion of the book “Science and method” by Nenad Smokrović. The promotion will take place on Thursday 6.4.2017. at 19.00. The philosophers from the neighboring countries have written a letter of support for the Department of philosophy in the Croatian Studies and they are planning to send it to the members of the Senate of the University of Zagreb. The letter of support can be read and signed here. The deadline for signing is April 4.